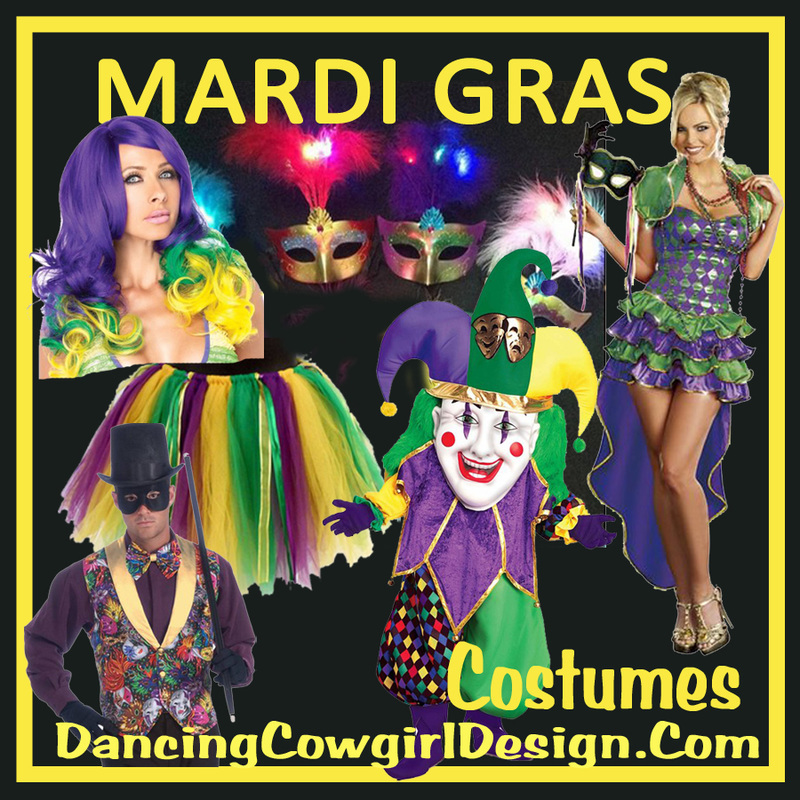 You will find costumes here that are called saloon girl, Can-Can dancer, burlesque dancer, cabaret costume, dance hall queen and showgirl. These are all pretty much the same style just different names. Western costumes are lots of fun to wear. 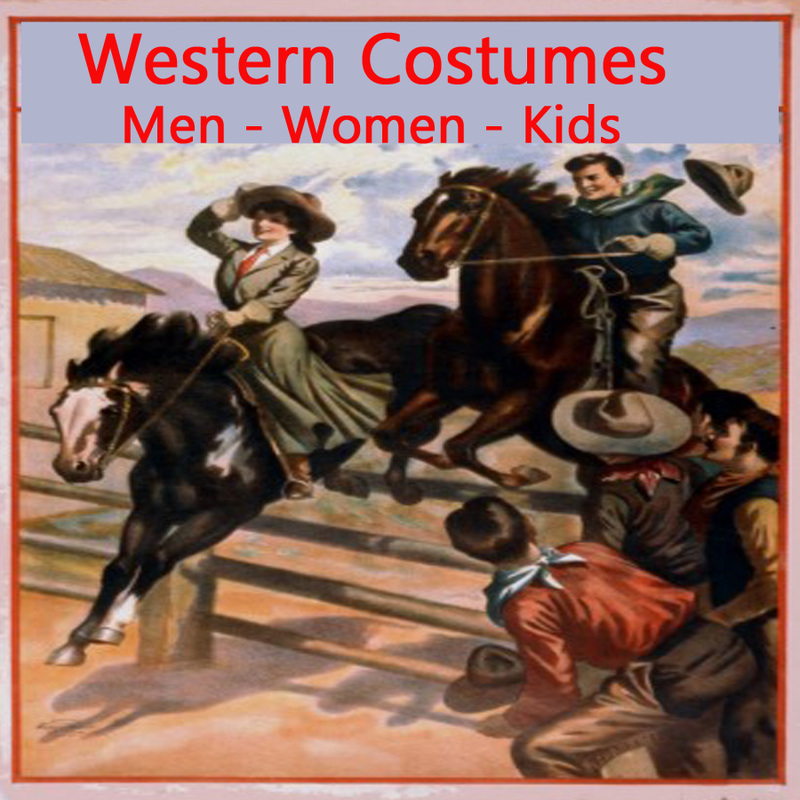 You can dress up as an old west saloon girl and go it alone or pair up with someone to go to a party as a couple. The best example I can think of is Miss Kitty from the old western t.v. series Gunsmoke. Miss Kitty is actually the owner of the saloon, but her fancy dresses and those of the other girls in the saloon are similar. Costumes like these are great for Halloween of course, but also for events like western days, parades, stage shows and themed costumed parties. If you find a costume that you like, please be sure to take a minute to read the previous customer comments in regards to the fit. Many costumes have some spandex in the material that will allow for some stretch. You may be able to go down a size. Check out this video clip from Gunsmoke where Miss Kitty gives a lesson on being a saloon girl. This is one of my favorites out of all the saloon girl costumes. It is the Saloon Madame Costume and it looks just a pretty from the back as it does from the front. This comes with the robe and attached overcoat and headpiece. It is hand washable. Please read customer reviews about sizing. This costume does stretch some so you may be able to get a smaller size. This is the same outfit available in plus sizes. Additional accessories such as boa and garter are not included. Get a kick out of Miss Kitty's Can-Can Revue. Advance to the 37 second mark on the video to see more dress ideas. 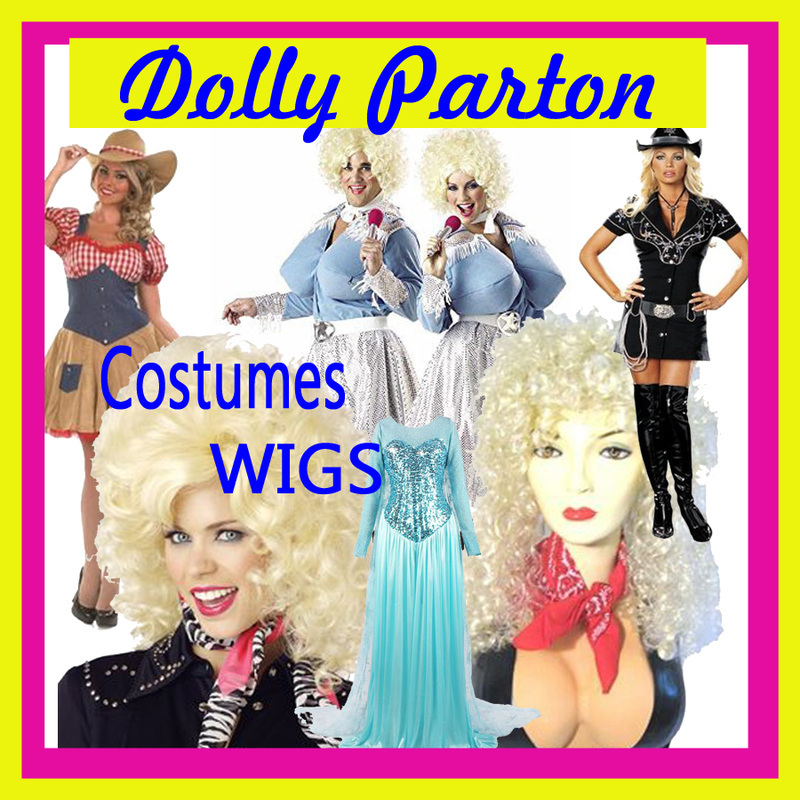 I have pulled together a collection of fancy dress costumes that are designed to suit a western saloon girl, showgirl or Can-Can dancer. There are different styles and colors in regular and plus sizes. This is a corset style dress with underwire foam cups. It has a multi layered ruffled skirt and a bustle in the back. There is sequin and satin trim on the dress. There are 3 pieces in total that come with the outfit including the dress, hat and choker. Add some attitude to this outfit and you will be ready to go. It comes with the dress and adjustable mini skirt. Also included are the hat with feather, sleeves and finger less gloves. Choose from regular or plus size fit in this costume. It included a lacy top, corset belt and skirt. Top that off with the feathered headpiece and you will be ready for a fun night. This dress style is available up to size 20. The Dance Hall Queen costume featured below also comes in a pretty blue color. It is available in regular and plus sizes. The material has 20% spandex so it will have a little bit of stretch. The dress is satin with a layered skirt and lace overlay. It comes with the dress, choker and head piece and is washable. I believe that this outfit will work good for a saloon girl costume and could later be used for the Renaissance Festival as a beer wench costume. ​ It is hand washable and made of polyester except for the trim. This costume only includes the skirt and bodice dress. You will be able to add your favorite accessories to complete the look you want. It does have to be dry cleaned. It comes in blue , pink and red. Some costumes do not come with every accessory that you may want. None of the ones listed here come with shoes or boots. Things you might want to add to finish off your costume could be stockings, garters, a boa, gloves or a big showgirl style wig. One thing that this type of costume has in common is nice stockings. You don't need me to tell you which style is best for you because only you know that, but there are a variety of stockings and ways to wear them. If you prefer a traditional pantyhose style or thigh highs with a garter belt, that's up to you. These are thigh high fishnet stockings with a stay up lace top. You will not need a garter belt with this type, but you could wear one with them for a more dramatic effect. See other styles of stockings. This is a pretty garter belt from Shirley Of Hollywood. It is made of polyester and spandex stretch lace. The garters are adjustable and have a hook back closure. It is available in black, pink, purple and blue and sizes 1x-4x. You can see many more styles sizes and colors of garter belts and find the one that is perfect for you. Garters come in all sorts of colors that will allow you to match your costume or stand out with a contrasting color. Your saloon girl costume can have an extra special touch with this garter and fake gun accessory. You may want to add a pair of gloves to your outfit. If so, there are lots of different styles to choose from. Since some of the costumes above are featured with long gloves, I found these. They are out of the bridal and evening section and have much better ratings that many gloves in the costume section. Short lace gloves would also go well with this style of costume. These gloves are made of spandex stretch satin so they will have a little shine to them. This particular glove is available in 6 colors so if you click on this one it show you the others. Boas are a great accessory to add to your costume. They come in a variety of colors. I have gone through many listings and found this one to have the best reviews. It is a couple dollars more than most, but according to other customers, it does not loose feathers a much as other boas I checked into. This is a 80 gram weight boa that is 2 yards long. Large locks of auburn hair will catch plenty attention adorned with a big hat or headpiece. Wanna go blonde for the night? This wig is big, blonde and curly with a bead accent. Besides looking great with a showgirl, Can-Can dancer or saloon girl costume, you could use it for other costumes like Marie Antoinette. Hope You Have A Great Time Dressing Up! 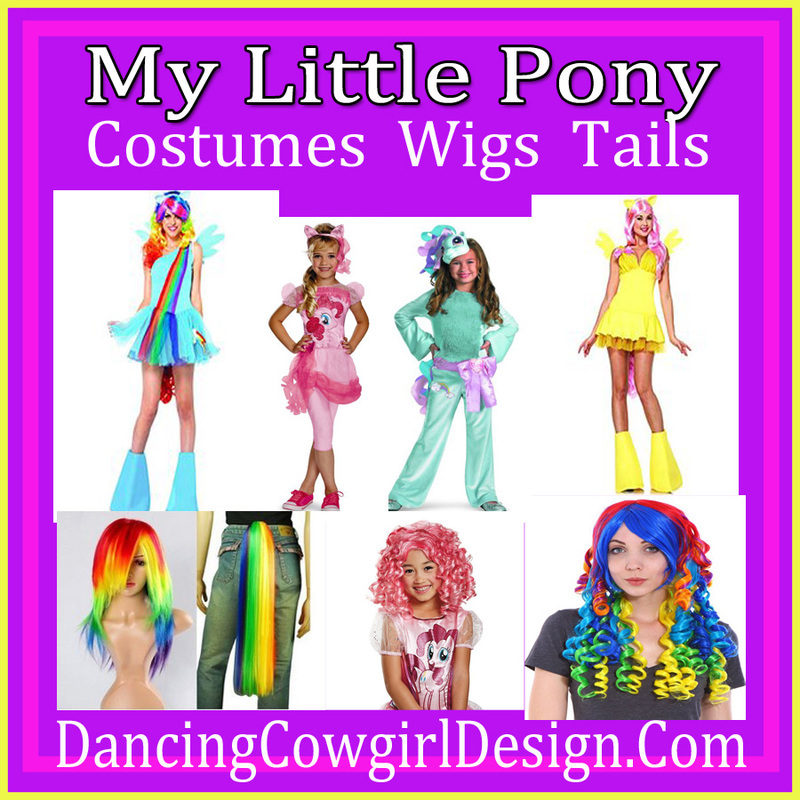 Go to the main costume page for more ideas or stop by these suggested pages.